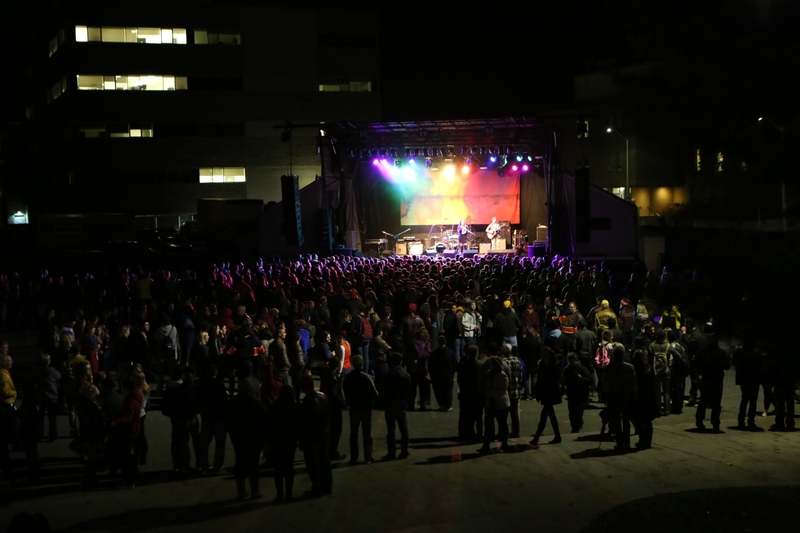 Last year the AMS executive team had the wildly ambitious idea to take an empty street during Homecoming and fill it with people, food and music. This Festival on Union Street was ultimately (and oh so cleverly named) the ReUnion Street Festival and deemed a resounding success from both those who attended, and those who had a key stake in the planning process. When I saw the position for ReUnion Street Festival Coordinator come across the AMS Apply page I thought “Who wouldn’t want that job? You literally get to plan a gigantic Homecoming shindig”. The deeper I settled into the role, the more I realized this job was way beyond just event planning. I realized the depth of the consultation and care that the Executive put into the Festival last year, and I learned how many stakeholders were actually behind the Festival. From the City Staff, City Councillors and Emergency Services of Kingston, to the Office of Advancement and Alumni Association of Queen’s, to the Municipal Affairs Commission and Marcomm Office of the AMS, the laundry list of people consulting on the Festival seems ever growing. What astounded me was that all of these people put their hearts into making sure the Festival goes off without a hitch. Of the seemingly never-ending list of stakeholders, every single one is set on providing the resources and support needed to make sure this Festival succeeds in its intentions. Beyond that, I also realized how transformative this position has been for Queen’s Homecoming. It provides a casual setting for alumni and student interaction that isn’t just about networking or meet and greets, it’s about celebrating and sharing your Queen’s story. I’m finding that one of the most exciting parts about planning this Festival is that it has the backing of Queen’s students. In voting for the Festival student fee, Queen’s students were saying “Hey, this was a great time, let’s do it again”. Having the support of the student body means the world to the Festival (and to me) and it is allowing us to expand to include even more studentservices, groups and volunteers. This year the Festival will see some of the old favourites back again, such as food trucks, licensed area and sweet tunes, but there are some new elements to get amped up for as well (they hired me for more than just my ability to file permits). We are looking at expanding the raffles, prize opportunities and merchandise on-site, so be prepared for all sorts of ReUnion swag to add to your collection of Throwback attire. Our interactive programming and photo booths will guarantee you a new profile picture by the end of the night, and the Queen’s archival exhibits and historical elements will have you feeling so much pride that you’ll be dreaming in tricolour for weeks. Right now I am knee-deep in chats with student-run services and other programming elements, as well as crossing my T’s and dotting my I’s with the abundance of permits. We are in the thick of planning right now, and can’t wait to see this Festival come fully to life in October. I know you all will be needing a way to celebrate our victory at the Homecoming football game on Saturday October 24, so come on out to the Festival and celebrate your Queen’s story. Come say hi – I’ll be the one with the bags under my eyes and the excited smile. One last thing, if you feel like you just can’t get enough Festival, we’ve created volunteer positions just for you and your friends. Check out the Homecoming page (queensu.ca/homecoming2015) after September 14th and you can join the team to make this exciting endeavor possible. Check out a few photos from the festival last year!